Haihaisoft DRM-X 3.0 Protect Audio/Video and PDF Tool is a powerful All-in-One packager to encrypt Audio/Video, PDF documents and ePub file. It supports encrypt FLV, encrypt MP4, encrypt MP3, encrypt WMV, encrypt WMA, encrypt WAV, encrypt WebM, encrypt ASF, encrypt PDF and encrypt ePub. The encrypted audio/video can be transmitted to the mobile phone, the realization of the encrypt mobile video, encrypt mobile audio, support iOS DRM and Android DRM. DRM-X 3.0 Desktop Packager solved the Windows Vista and Windows 7 needs to turn off UAC in order to encrypt files problem. It's easier for content providers to protect digital content. 2. Register DRM-X 3.0 Free Trial Account. 4. 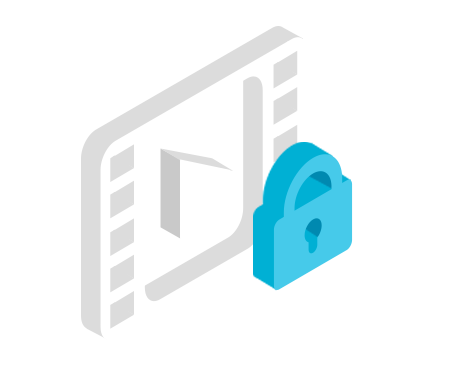 Go to DRM-X Account home -> Protect Audio/Video page, and encrypt FLV, MP4, MP3, WMV, WMA, WAV, WebM, ASF files. 5. Go to DRM-X Account home -> Protect Plain PDF page, and encrypt PDF files. 5. Go to DRM-X Account home -> Protect Protect ePub page, and encrypt ePub files. The new encryption packager solved file encryption size limit 4GB problem. Now file encryption has no size limitation.